There is an influx of manga themed free to play MMO browser games these days and this one is another that brings a good storyline, some interesting characters, good graphics and plenty to do. 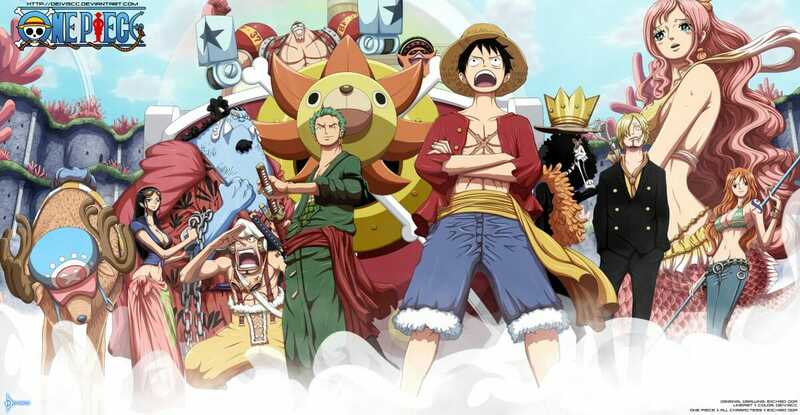 ‘One Piece’ from Joygames is a popular free to play MMORPG that has been based on the Japanese manga comic of the same name. 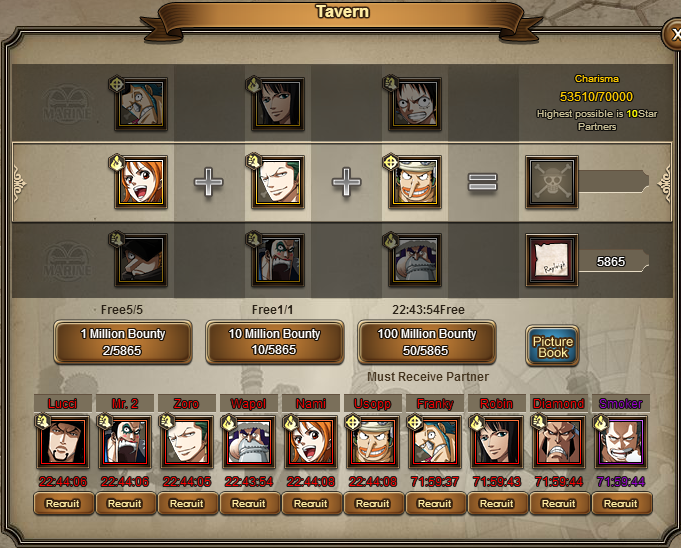 Players have to decide on their character class, undertake quests and level up their characters skills and stats. Players can also find companions to accompany them on quests and take part in a good selection of PvE and PvP activities. Once you have gone to the website and created an account, you have a choice of three different classes to select from. 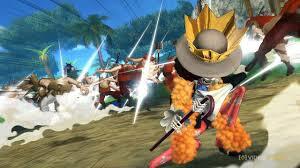 You have the Sniper that is great at long range attacks, the Swordsman that is great at close range and the Devil Fruit User who can cast ranged spells. Unfortunately, there are no options to customize your character in any way or even change your avatar, so once you make your choice you are taken straight into the game. 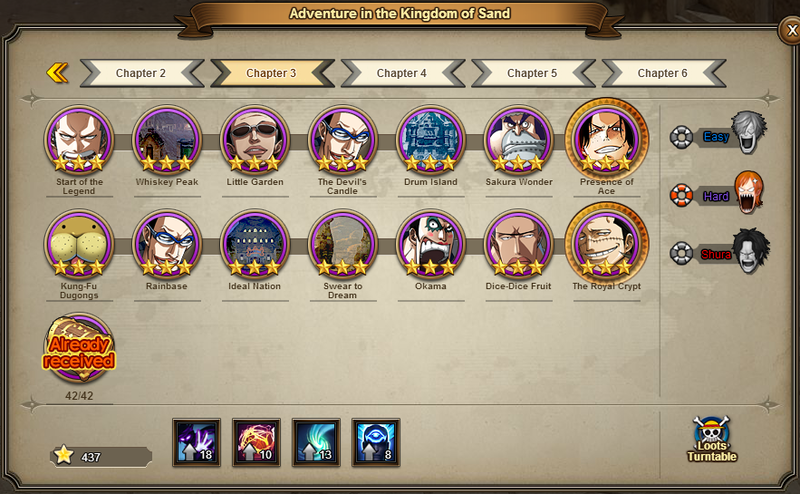 You will immediately notice that this game has been made with ‘One Piece’ fans heavily on the mind, as everything from the characters, locations and even the storyline are directly in line with that popular Japanese manga comic. If you are not a fan of the comic, you will have to rely on some pretty bad translations along the way to pick up that storyline. 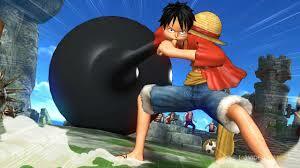 One Piece luckily does not deliver the same sort of automated battles that you will probably be used to with other free to play MMORPG’s, as you move your character around with the mouse and select who you wish to attack. However, if you do not attack manually, the computer AI will actually do this for you, which is quite handy. 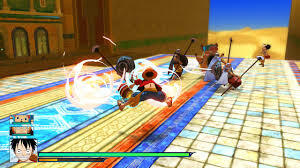 The battles are known as instances that allow you to progress through the storyline and involve you having to protect your flag on the battlefield. Once you complete the instance, you are given a ranking of between one and three stars for your performance and awarded with a choice of five different cards. Each card will have a different amount of XP underneath between 200 and 500. As you level up in the game, you are able to unlock many new features. One of these is the tavern that allows you to go and find and recruit some companions to fight alongside you. These partners can be either standard that have no particular super abilities or the higher ranked ones that can use special abilities that can really aid you in battle. As you start to collect companions, you will be able to battle against your foes in formation and really start to see the benefit of teamwork. 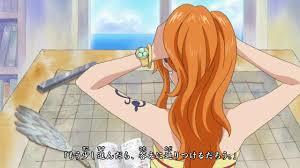 Whilst One Piece will certainly be attractive to fans of the comic, to others it might not too much appeal. This is because there is not much in this game that has not been done before. Despite this, there is a good companion system, some decent PvP action and a good storyline which does make this a worthwhile shout. Overall, it is a pretty good MMORPG but then you could say the same about dozens of similar games that are available today. 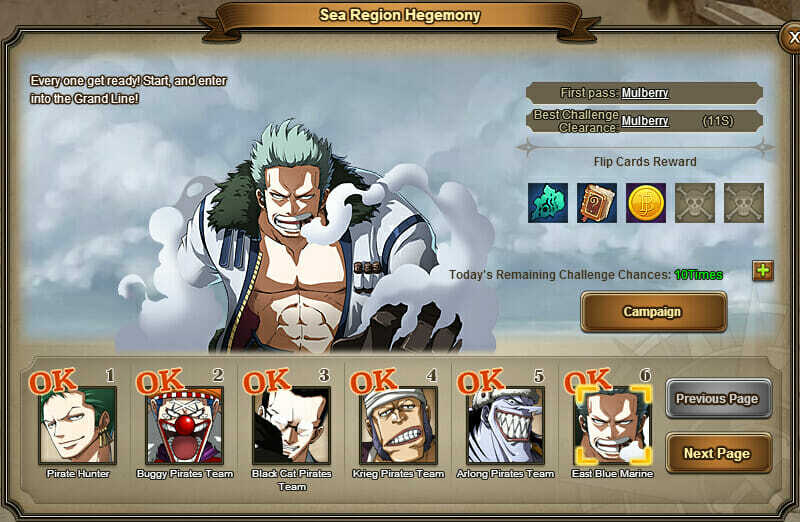 One Piece fans will love this free to play MMO! There is a good companion system, some decent PvP action and a good storyline which does make this a worthwhile shout.